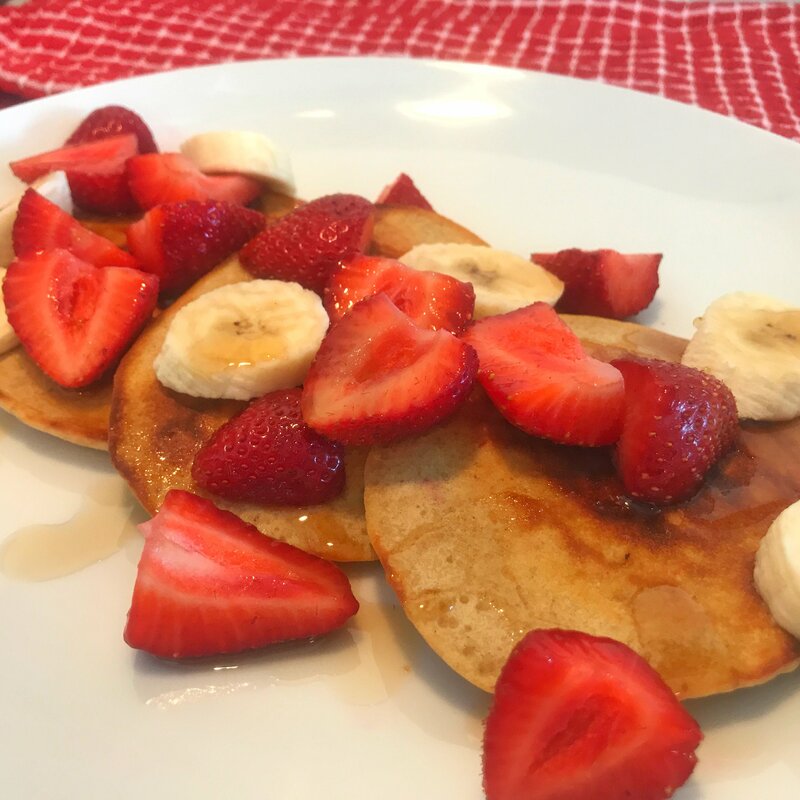 These delicious Eggology Strawberry Banana Protein Pancakes are great for a post-workiout breakfast or a healthy weekend treat. You can enjoy a pancake without the refined sugars or refined flour. 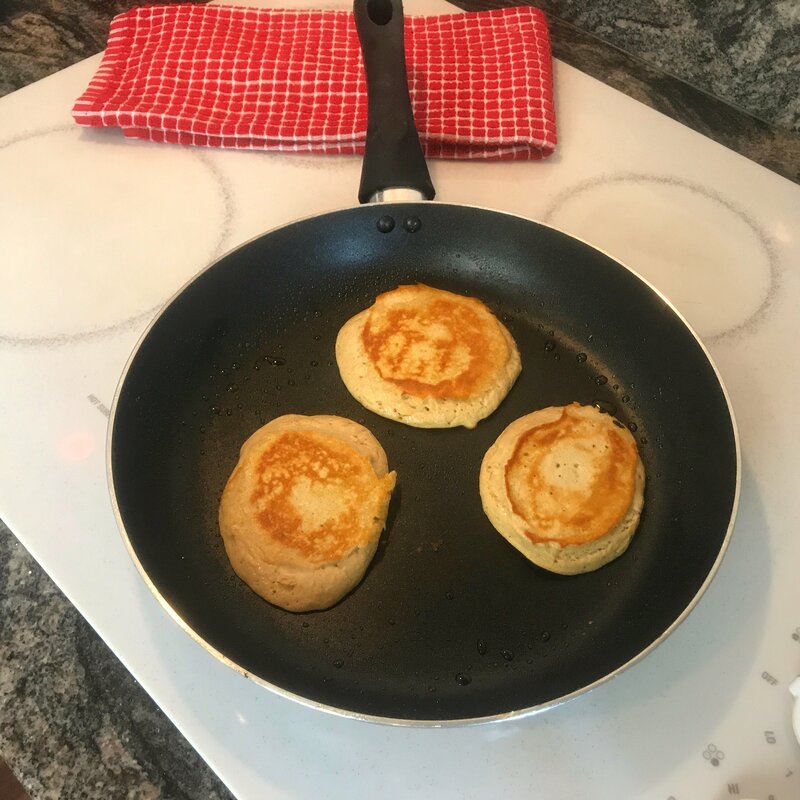 A healthy protein twist to pancakes only 238 calories per serving, packed with 20grams of protein. This recipe is also in The Hollywood Trainer Club with over 140 more healthy delicious recipes and weekly meal plans. Log into the club www.TheHollywoodTrainerClub.com click Meals, then Recipes A-Z , then type in Eggology Strawberry Banana Protein Pancakes. Blend on high speed for 1 to 2 minutes, or until smooth. Spray coconut oil onto a pan and bring to medium heat. It’s time for Round 2 or our 10Day Ab Blast Challenge Powered by Eggology! Join us! The challenge starts right after Memorial Day Weekend, so mark your calendars. The purpose of this challenge is to encourage you to commit to 10 days in a row of total body workouts with an extra emphasis on the abs! We have incorporated Cardio, Sculpting, Exercise Ball, Pilates, Running, Sprint Intervals, Kickboxing, Yoga, Strength Training and Sports Drills to challenge your core for maximum results. By using various methods of training that use your abdominal muscles in all the planes of motion the body will be consistently challenged over the next 10 days to help you achieve incredible results. All of our workouts offer instruction for beginners to advance so everyone is welcome. Let’s get started! 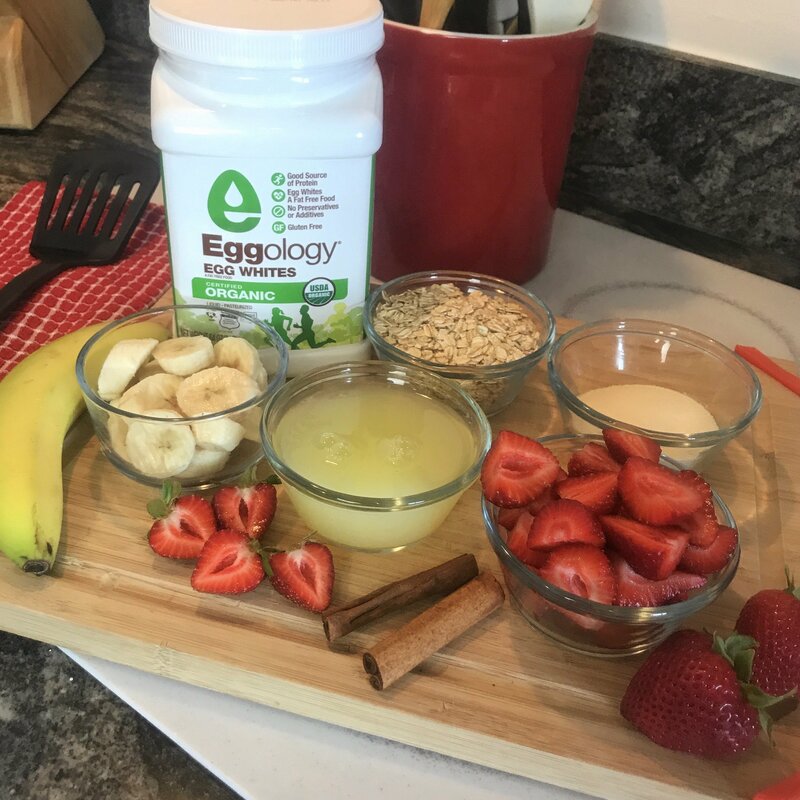 To help you burn the fat over your abdominal muscles you must eat healthy.Eggology is one of my favorite sources of protein because it is cholesterol free, low sugar, contains all the essential amino acids, organic or cage free and easy to prepare from shakes to delicious omelets. 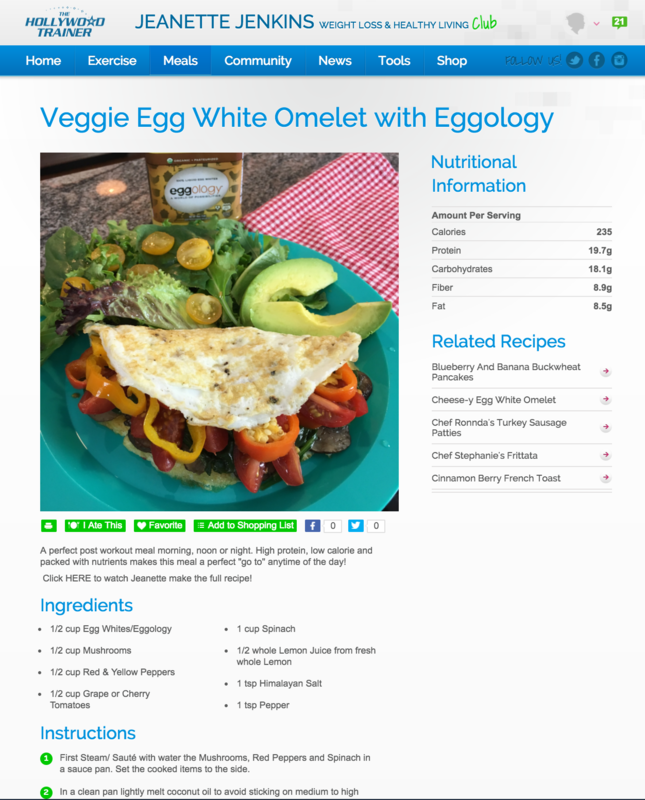 Below is a one week meal calendar with some of our favorite healthy meals including some Eggology recipes.